• Robert Meyerhoff’s Broad Brush started his 4-year-old campaign in California and faced familiar foes in the San Fernando Stakes-G1 (he lost by a neck to Variety Road while defeating Snow Chief and Ferdinand), Charles H. Strub Stakes-G1 (third to Snow Chief and Ferdinand) and Santa Anita Handicap-G1. In the latter, Broad Brush came from behind to defeat Ferdinand by a nose in a head bob. Less than one month later, Broad Brush got his second win of the year in the John B. Campbell Handicap-G3 at Pimlico. That win pushed his career earnings to more than $2.2 million. • Little Bold John’s venture to Gulfstream Park for the Donn Handicap-G2 came as a surprise to many. When he won the race over the likes of Horse of the Year Lady’s Secret and top handicap horse Skip Trial, it was nearly unbelievable. Getting nine pounds from Lady’s Secret, and seven from Skip Trial, Little Bold John went off at 56-1 and prevailed by a nose over Skip Trial. It was six lengths back to Wise Times in third. Owned by Jack Owens and trained by Jerry Robb, Little Bold John recorded his ninth stakes win from 43 starts. In his next outing, the son of Maryland sire John Alden finished a well-beaten third to Broad Brush in the Campbell. 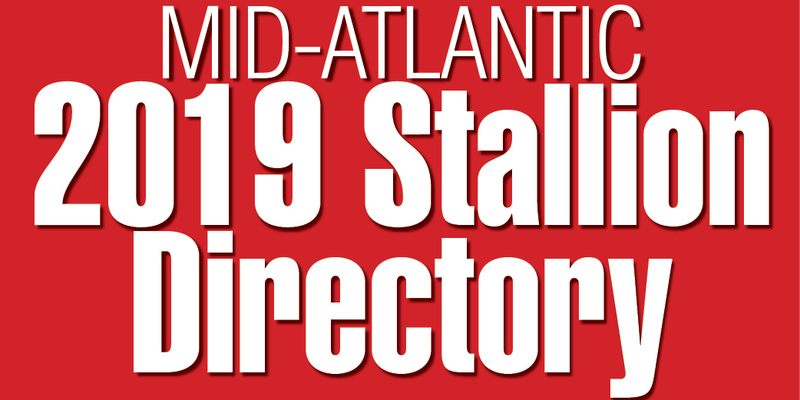 • The first of a series of articles profiling managers of Maryland’s largest breeding farms profiled Jim Steele of Shamrock Farm in Woodbine. In the 10 years that Steele had managed the farm owned by Arthur J. Rooney (best known as the owner of the Pittsburgh Steelers and Yonkers Raceway), Shamrock had doubled in size and was standing nine stallions?–?eight Thoroughbreds and one Standardbred. “The Rooneys are such super people to work for?–?so classy and great in every way?–?that I’m not in any hurry to go out on my own,” commented Steele. • Although the race was not recognized under Jockey Club rules, 2-year-old Timely Warning’s victory in a 2-furlong sprint at the Aiken Trials gave notice to his freshman sire, Caveat. Bred by Anderson Fowler, Timely Warning was the first starter for the 1983 Belmont Stakes winner, who stood at Windfields Farm in Chesapeake City, Md., for $20,000. It was the just the beginning of two wonderful careers. Timely Warning went on to become a Grade 1 winner and earn $851,091 in seven seasons. Caveat was a superb sire, especially of turf runners, and led the Maryland rankings four times. He died of an apparent heart attack in February 1995 at 15, the same year he became the first Maryland stallion to top $3 million in progeny earnings in a single season. • Tom Barry, one of the nation’s top trainers from the 1940s to the 1960s, died March 17 in a Havre de Grace, Md., hospital at 79. The native of County Cork, Ireland, came to this country at age 19 and was soon working for horseman Danny Shea as a groom for show jumpers. When he became a trainer, Barry would go to Ireland to purchase yearlings for his clients. Among his selections were two Belmont Stakes winners: *Cavan (1958) and *Celtic Ash (1960), both campaigned by Joseph O’Connell. Barry retired from the track in 1974 and resided at his 150-acre Ardmore Farm in Darlington, Md. • The Maryland Racing Commission officially designated the Maryland Thoroughbred Horsemen’s Association (MTHA) as the organization to represent the majority of Maryland horsemen. 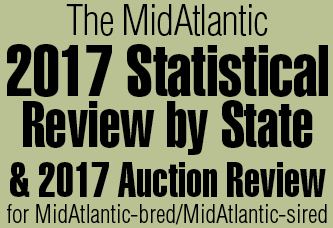 Incorporated less than six months earlier, the MTHA was chosen overwhelmingly (1,136 to 111) by licensed owners and trainers as their association of choice in a special March election.